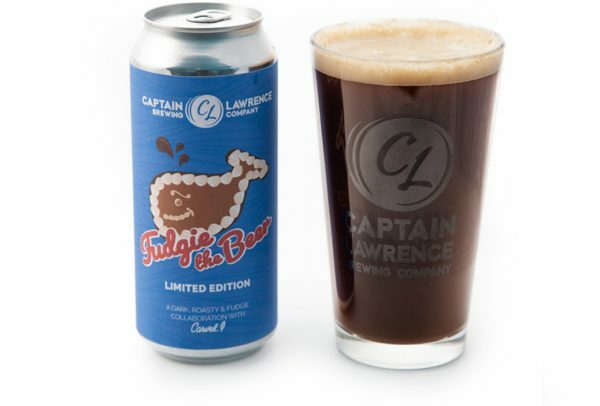 From July 15th – August 5th, you will be able to pre-order your packs of Fudgie the Beer on this website ($18 per 4-pack). That simple! Be sure to double check all of your information so that it is all correct. Triple check your email address, as you will receive an email receipt of your order that you will need to provide during our Pick Up Window. If you did not receive your email receipt after you have pre-ordered, please contact us with the name that you placed with your order so that we may resend your receipt. Fudgie the Beer will be available for pick-up beginning Friday, August 10th. Pre-order today and pick up IN PERSON* at the Beer Hall between Friday, August 10th, 2018 and Sunday, August 19th, 2018. $18/pk. 1 case max (SIX 4-packs) per person. *If you are unable to pick up, you can designate someone else to pick up your pre-order of Fudgie the Beer on your behalf. During checkout, in the “Additional Information” box, please type out the First and Last name of the person you are having pick up your pre-order. This person must have an ID that matches on the order, and they must bring with them a copy of your order receipt in order to be able to pick up your beer! August 10th – August 19th. Be sure to bring a valid form of ID and bring a copy of your email receipt! (providing the email receipt from your phone is allowed). If you did not receive your email receipt after you have pre-ordered, please contact us with the name that you placed with your order so that we may resend your receipt. You can only pick up your pre-orders IN PERSON* at the brewery with a valid form of ID and order receipt.